Retail point of sale refers to set up such as a store, a retail outlet, the cashier or checkout counter in the store, or any location where such transactions take place in an environment of this type. It can also refer to electronic cash register systems, barcode scanners, touch-screen display, scales, receipt printers, and pole displays. There are many industries that utilize retail point of sale systems such as restaurants, beauty salons, hotels & hospitality businesses, stadiums, casinos, and retail environments. To put it simply, a retail point of sale system can be used in any situation where something can be exchanged for a monetary value. Retail point of sale systems can be a useful tool to boost the success and profitability of your business. It can be used for several purposes such as inventory management, store management, customer service, sales distribution, administration, procurement, production, and finance of a retail outlet. The success and profitability of business owners can benefit tremendously with retail POS systems. It offers detailed reports that provide insights into the state of affairs of your business model. You can predict sales forecasts and plan for items that are profitable, while doing away with those that aren’t. This only helps business focus on what works and what does not. Why continue to produce and try to sell items your customers are apparently not interested in? These systems allow you to track all kinds of data such as the name of goods, the number of items sold, inventory theft or shrinkage, wastage or damage of items as well as accuracy issues regarding data. You can attain reports on current stock of items, inventory cost estimations, additional stock required, invoices, account statements, purchase orders, and the list continues. Through this system, you can measure daily gross revenue, cost, and profit. Retail POS systems are technology-driven. This means that they have been designed to reduce error and offer improved efficiency in every aspect. Even the simplest transactions take place without the chance of error, mistake or dispute. Unlike manual systems that are prone to human error, these systems of inventory management are computerized to lower risk of fraud in retail outlets. Retailers and business owners are not the only ones to benefit from retail point of sale systems. You can offer your customers satisfaction guaranteed and an overall hassle-free and less time-consuming shopping and checkout experience. In addition to that, through database collection, you can build relationships with your consumers by setting them up with exclusive deals, discounts, offers, and promotions. 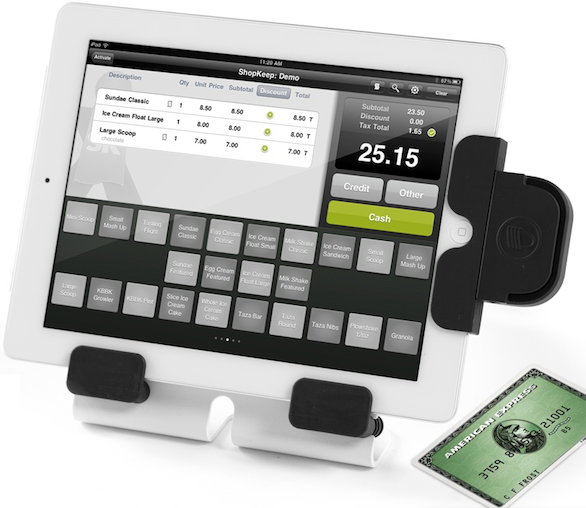 Arm your business with affordable and reliable retail point of sale software by visiting www.counterpointpos.com. Previous story What’s Inside A Plumber’s Toolbox?